American School recently held its annual Double Decade Club luncheon, which honors employees with at least 20 years of continuous full-time service to American School's students around the world. Twenty American School Double Decade Club members, each of whom has at least 20 years of continuous full-time employment, were recently honored at a corporate luncheon for their combined 562 years of service to American School students. American School President Gary R. Masterton, himself a Double Decade Club member with 28 years of service, thanked the group for their dedication and perseverance as American School constantly strives to become the preeminent distance learning high school. Over the years, the twenty employees honored at this year's Double Decade Club luncheon have seen a lot of changes, most notably American School transforming itself from a correspondence school to one that offers accredited high school courses and diploma programs in both online and paper-based formats. In its history, American School has helped more than three million students around the world earn their accredited high school diplomas. 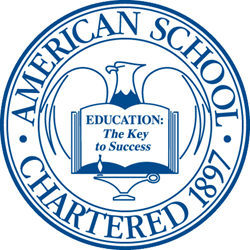 Today American School is accredited by MSA-CESS, Ai and NCPSA and recognized by the State of Illinois as a non-public high school. For more information, call 708-418-2800 or visit http://www.americanschool.org.